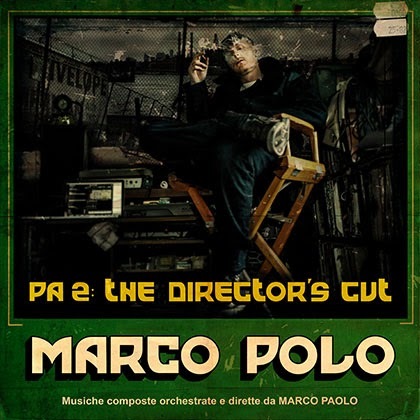 Last month Toronto underground producer Marco Polo dropped the follow up to his 2007 debut studio album Port Authority, with PA 2: The Director's Cut. I will keep it real with uall, while I've been familiar with some of his songs throughout the years, I never knew who dude was. I heard him on my way to work a little bit ago on the Rap Is Outta Control show. They played cuts of his new album, needless to say, I copped that joint as soon as I got home later that day. Marc Polo has been grinding since the early 00's and is heavily influenced by the great producers of the 90's (naming DJ Premier as his biggest influence). And this come across in his music. His versatility to sample and cut his own breaks is a nod to the golden era of hip hop, Marco Polo is a true student and ambassador of hip hop. His 19 track album is a perfect soundtrack to his persona, a true underground producer keeping it real for his loyal fan base. But his genuine nature and amazing skill have allowed him to gather an eclectic collective of emcees: from Tragedy Khadafi and Kardinal Offishall to Styles P and Pharoahe Monch. I won't go into my normal break down of songs per usual. I'll just say this, if you a true hip hop head that appreciates the old school and the (good) new school, then give this record a spin. Peep video for 3-0-Clock and album stream below.